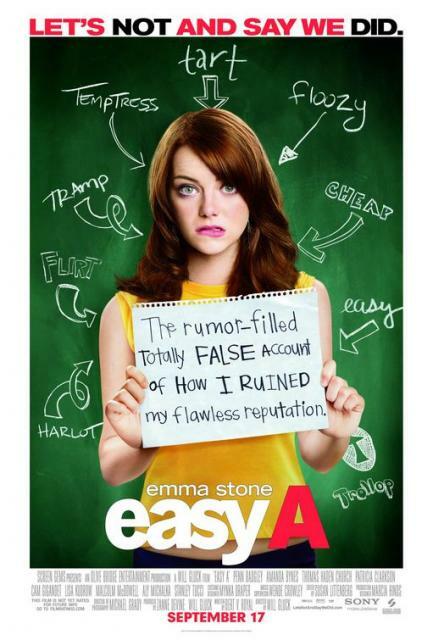 Easy A – Should I Go See It? Emma Stone does a great job carrying this teen comedy about a girl dealing with her inaccurate reputation as a tramp, but even with the additional help of a great ensemble of actors in the “adult” roles, the film falls flat and is ultimately forgettable. Yes, on Easy A. Good performances, moves along, entertains – not quite Mean Girls, but still worth it! I enjoyed the clever banter as well as the range of characters. I found it entertaining and underrated.